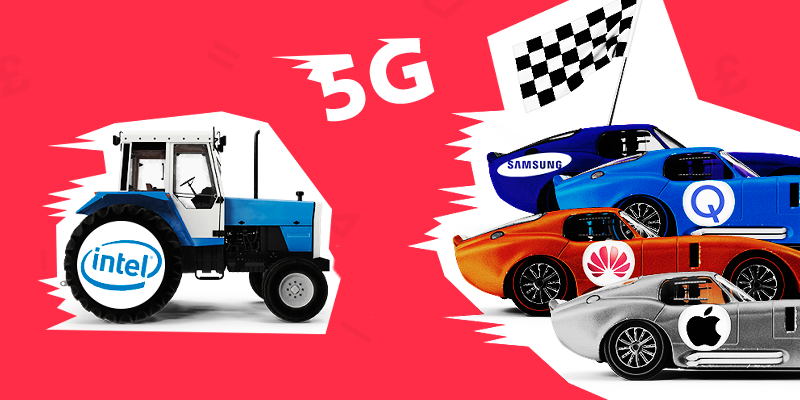 Intel is out of the 5G smartphone chip running, leaving the Qualcomm, Apple tie-up, Samsung and Huawei the last on the track. Exact details have not yet been disclosed. However, Intel’s new CEO, Robert Swan, did say about the smartphone market “it has become apparent that there is no longer a clear path to profitability and positive returns”. Intel also declared that it would be assessing its future involvement in IoT technology (internet of things). Some may be wondering what its business strategy will be considering the waning PC industry; although it intends to continue investing in chips for 5G network infrastructure. One thing’s for sure, the market was pleased about the announcement, shown by its shares rising 4% in aftermarket trading.